The Last Man on Earth is, in my humble opinion, the best cinematic version of Matheson’s classic vampire novel I am Legend. I have reviewed the film itself here and gave it 7 out of 10. 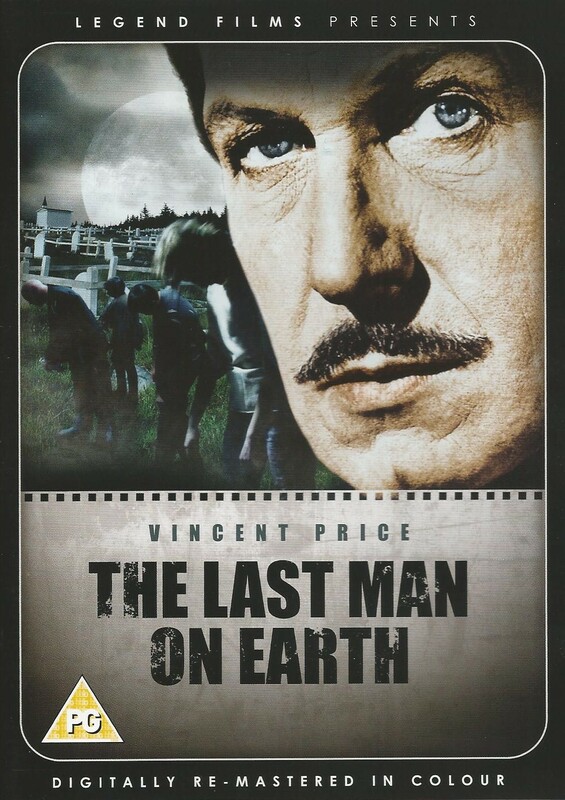 The film is flawed, with day for night scenes jarring and action sequences that don't quite work but it is carried by Vincent Price and his wonderful voice/presence. The reason for looking at the film again is because there is a re-mastered version that has been coloured through. It is also an excuse to have a moan about DVD retailers – and specifically HMV (I am sure the phenomena I am about to explore has precedents in other countries as well). HMV is struggling as a business and I think, personally, their outrageous pricing policy has much to do with this. I saw a box set of 4 films – this, the Devil Bat, House on Haunted Hill and Bride of the Monster. They are public domain films but, despite all these being re-mastered in colour, I didn’t feel the £18 price tag was warranted, and so I checked Amazon through a handy smartphone app. The same set was under £5. More than £13 different. I know a store has more overheads than an online company but, seriously, nothing warrants such a price differential. HMV, the reason your stores are failing is because you hideously inflate product prices. I ordered the set from Amazon, whilst stood in HMV! So, what about the film. Well I was rather impressed with the colouring. The film looked like it was meant to be in colour and I can only imagine the effort that went in to creating this effect. Everything looked natural and the process cleaned up the visuals compared to the other version I have on DVD. If you compare the screenshot of the newly risen Virginia (Franca Bettoia) that I have placed with this paragraph with the same screenshot on the original review you can really see the difference. Negatively it does mean that the day for night shots jar that little bit more than before. 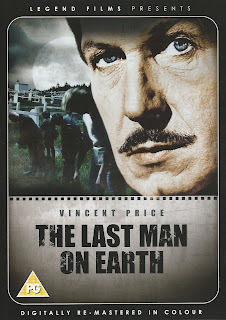 The actual film still deserves 7 out of 10 – I am still unconvinced by Vincent Price during the more action orientated sequences, and still equally moved in the pathos filled scenes. If you haven’t seen this film of the novel then you owe it to yourself to see it and I would recommend the colour version – some films may not suit the conversion to colour but it worked well in this case and you know you’ll get a nice print. I've avoided both this and House on Haunted Hill in color. Just as a philosophical matter, it strikes me much like filling in a Paul Klee sketch with crayon. On the other hand, Ray Harryhausen was thrilled when they colorized The Beast from 20,000 Fathoms. I believe he said they would have made the film in color if they could have. Regardless, with this discussion, I'll have to get Last Man in color now. Certainly, beyond the color, the print looks better than any one I've seen. Thanks for the tip!